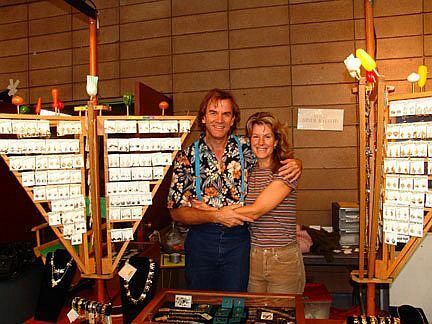 Wild Bryde Jewelry began in 1980 in the garage of our house in beautiful WILD Cat Canyon on McBRYDE Avenue, Richmond, California. And therein lies the secret of the name of our business! Always an avid naturalist , I studied art and botany, and rounded this off with a degree in illustration from the California College of Arts and Crafts in Oakland. Back then I would spend my days in the hills and marshes of the San Francisco Bay Area painting, drawing and birdwatching. These illustrations formed the basis for Wild Bryde's first jewelry designs. Some things never change, I guess, because today, over 25 years later, birding, drawing and studying the wonders of nature are still amongst my favorite pastimes! 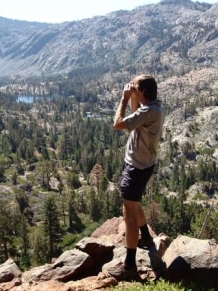 I am a native of California and enjoy finding inspiration in every corner of our state. I also seize each opportunity to travel further afield. Over the years Wild Bryde has continued to grow. We moved out of the garage and into a large studio space in El Sobrante, near San Francisco. We hired a team of dedicated people and Wild Bryde Jewelry was born. Early on, we were fortunate enough to attract some wonderful wholesale accounts, amongst them Yosemite National Park and the San Francisco Zoo. Today we are proud to sell our jewelry to thousands of gift stores, museums, tourist destinations, wildlife refuges, zoos and aquariums across North America and beyond. Some time ago I became Wild Bryde's sole owner. Our dedicated team remains the same, as does our goal: to create beautiful, high-quality and affordable jewelry inspired by our love of nature. People who buy our jewelry tend to be extremely passionate about it, and this is our greatest reward! 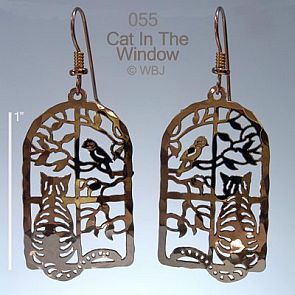 Our line includes over 5,000 species-specific animal, plant and nature designs in the form of earrings, pins, necklaces, bracelets, anklets and barrettes. All our jewelry is made entirely in the USA and we take real pride in the quality and craftsmanship of our work. Each piece is hammered by hand with a special plannishing tool. This strengthens the jewelry and gives it subtle and attractive light-reflecting facets. Our jewelry comes in two finishes: 14k gold-plate (pictured left) and rhodium, a non-tarnishing silver alloy. Our earrings typically come on French earwires (though other styles are also available) and these are made of 14k gold-fill or sterling silver. Posts, clip-ons, leverbacks and surgical steel earwires are also available on request. Everybody who buys our jewelry comments that they love wearing it because it is so light. They also tell us that it lasts forever! Thank you to all our customers for your support over so many years! Your enthusiasm for our jewelry continues to inspire us! We look forward to many more Wild Bryde years of business and creativity!